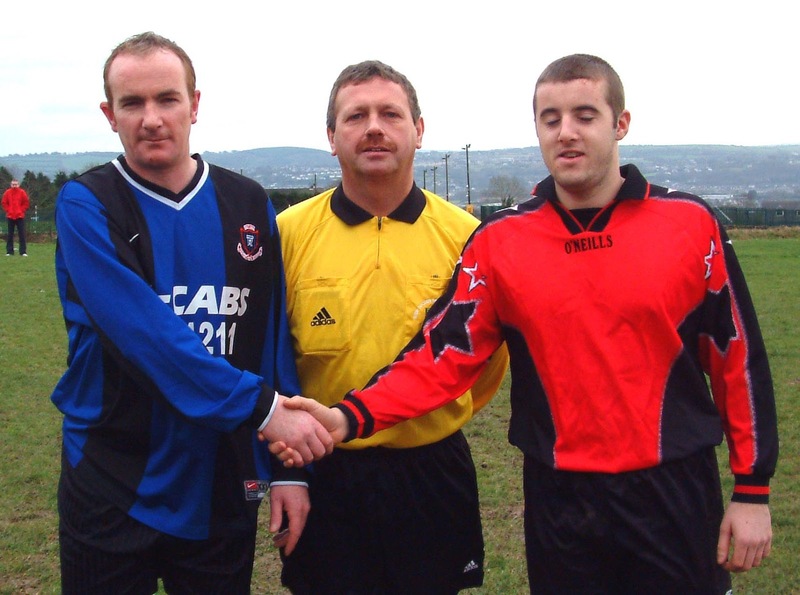 Dillon's v Togher Rovers 03.01.2004 Semi-final. This Murphy’s Stout President’s Cup semi-final at Silverheights was a highly competitive affair that saw Togher Rovers advance with a 1-0 victory over Dillon’s Cross. It always looked like a one goal game and that goal was scored in the 54th minute by Liam Sisk when he rose high to glance the ball into the back of the Dillon’s net from a corner ball taken by Richard Fitzgerald. Dillon's responded well to the goal and went in search of an equaliser. Ring fired narrowly over from 18 yards and, in the 63rd minute, O’Donnell was just wide from an acute angle. In the 69th minute, Richard Fitzgerald saw his cracking 35 yard effort smack against the post and bounce out of danger, much to the relief of the Dillon’s Cross goalkeeper. The home side kept battling for an equaliser and Gary Goldsmith just failed to reach a cross by the skilful left sided player Niall Kelleher. And, in the final minute, Dillon’s defender Stewart Crichton saw his header go wide of the target and that was their last opportunity to prevent Togher reaching the final. Dillon's Cross: Mick Normoyle, Phillip Kelly, Stewart Crichton, Brian Barrett, John Larkin, Jay O’Donnell, Stuart Kiely, Wesley Kiely, Liam Ring, Barry Howell and Niall Kelleher. Subs used: Gary Goldsmith for Ring (60) and Mark Riordan for O’Donnell (70). 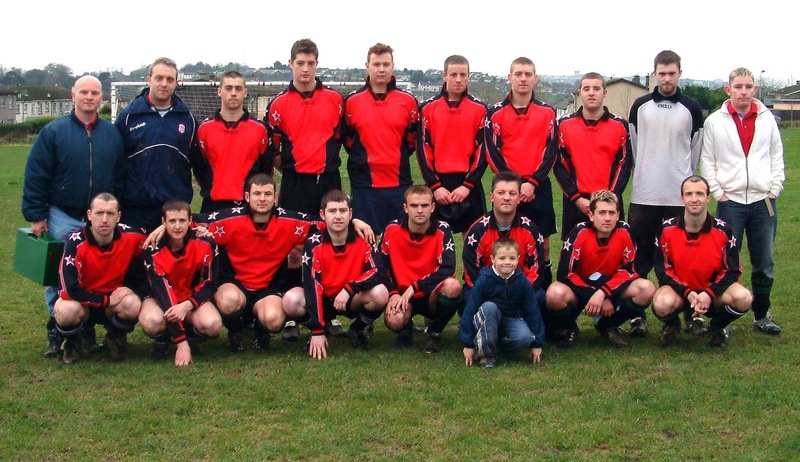 Togher Rovers: John Punch, Ritchie O’Mahony, Ger Byrne, Keith Haines, Paul Sherlock, Colm O’Leary, Richard Fitzgerald, Mark McDermott, Liam Sisk, Aidan O'Sullivan and Kieran Angle. Sub used: Timmy O’Keeffe for McDermott (76). ALL AUL GAMES ARE OFF TO-DAY.